Increases the number of RJ11 network connections on an RJ11 outlet.Compact design, feel free to enjoy your internet surfing.Convert a single RJ11 outlet to two RJ11 sockets easily.Interface: 1 output RJ11 port and 2 input RJ11 Ports.For CALIFORNIA residents only: WARNING: This product contains chemicals including DEHP, which is known to the State of California to cause cancer and birth defects or other reproductive harm.Please note that by posting this Proposition 65 warning, we are notifying you that one or more of the Proposition 65 listed chemicals may be present in a product. With Unique Bargains' products, the exposure to these chemicals may be of no significant risk to you, but out of caution, we have elected to place this warning on our site to make sure our customers are informed.You can find more information at http://www.oehha.ca.gov/proposition-65/about-proposition-65. 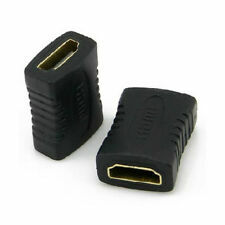 Description:Increases the number of RJ11 network connections on an RJ11 outlet.Compact design, feel free to enjoy your internet surfing.Convert a single RJ11 outlet to two RJ11 sockets easily.Interface: 1 output RJ11 port and 2 input RJ11 Ports.For CALIFORNIA residents only: WARNING: This product contains chemicals known to the State of California to cause cancer and birth defects or other reproductive harm.Please note that by posting this Proposition 65 warning, we are notifying you that one or more of the Proposition 65 listed chemicals may be present in a product. With Unique Bargains' products, the exposure to these chemicals may be of no significant risk to you, but out of caution, we have elected to place this warning on our site to make sure our customers are informed.You can find more information at http://www.oehha.ca.gov/proposition-65/about-proposition-65. 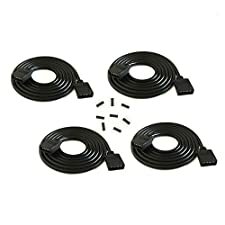 Extend the reach of your connector cable by 10 feet. 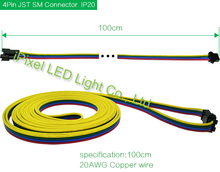 Shielded Connector Extension Cable extends length of regular Connector Cable by 10 feet. Enables you to move robot around freely behind the table while keeping the Control Box within easy reach. 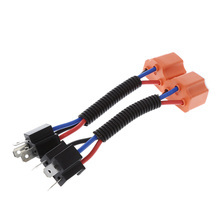 For use with all Robo-Pong robots except for 3050XL.PLEASE NOTE: This is not a replacement for the connector cable. 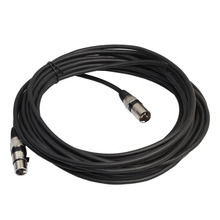 Description:Single BNC Male to single BNC Male connector.High performance cable for connecting a camera, CCTV, VCR, antenna, or other devices.Feature:Oxygen Free Copper Lines combined with a double shielding allow for a maximum audio video quality; reduce distortion and signal loss; minimizes return loss, so music, dialogue and sound effects are always clear, dramatic, detailed in excellent signal qualitySpecification:Total Length: 2M / 6.6ftWire OD: 5mm / 0.2inchWire Type: 3C-2VWire Feature: 23/0.10BC*1C+AL+48/0.12ACS Material: PVC, CopperColor: Black, Silver ToneConnector Type: 1 Male BNC to 1 Male BNCNet Weight: 86gPackage Content:1 x BNC Video Cable For CALIFORNIA residents only: WARNING: This product contains chemicals including DEHP, which is known to the State of California to cause cancer and birth defects or other reproductive harm.Please note that by posting this Proposition 65 warning, we are notifying you that one or more of the Proposition 65 listed chemicals may be present in a product. With Unique Bargains' products, the exposure to these chemicals may be of no significant risk to you, but out of caution, we have elected to place this warning on our site to make sure our customers are informed.You can find more information at http://www.oehha.ca.gov/proposition-65/about-proposition-65. Unique Bargains 2Pcs 3 Way RJ45 8P8C Internet Extension Connector Cable SplitterIncreases the number of RJ45 network connections on an RJ11 outlet.Compact design, feel free to enjoy your internet surfing.Convert a single RJ45 outlet to two RJ45 sockets easily.Interface: 1 output RJ45 port and 2 input RJ45 Ports.For CALIFORNIA residents only: WARNING: This product contains chemicals including DEHP, which is known to the State of California to cause cancer and birth defects or other reproductive harm.Please note that by posting this Proposition 65 warning, we are notifying you that one or more of the Proposition 65 listed chemicals may be present in a product. With Unique Bargains' products, the exposure to these chemicals may be of no significant risk to you, but out of caution, we have elected to place this warning on our site to make sure our customers are informed.You can find more infomation at http://www.oehha.ca.gov/proposition-65/about-proposition-65.